Triptolemus departs in a flying chariot to instruct mankind in agriculture. 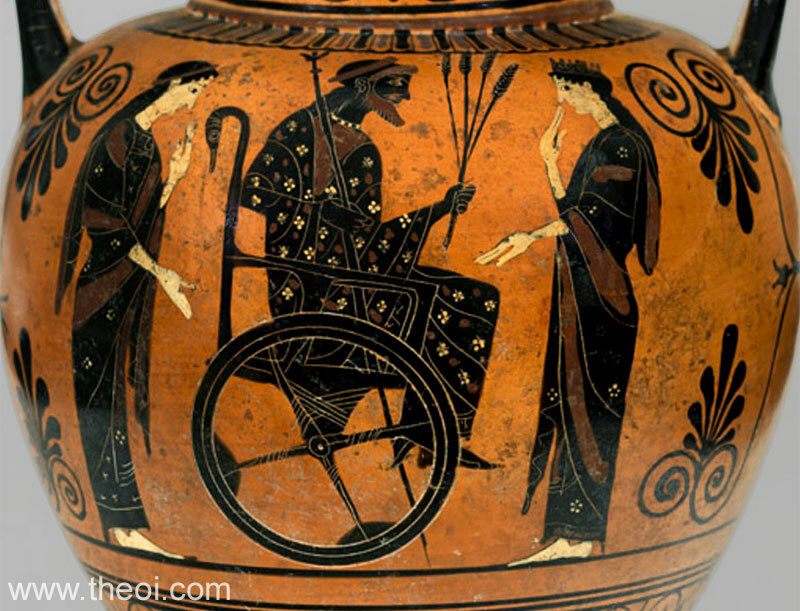 He is flanked by the goddesses Persephone and Demeter. The hero holds a sceptre in one hand and a sheaf of grain in the other. His chariot-chair is decorated with the head of a crane.